Here at Man with an Axe, we are committed to providing an excellent level of service and professionalism. Not only do we offer a wide breadth of the most in-demand tree care services, we promise to do it precisely, effectively, safely and cost-effectively. Because if we don’t, my boss won’t pay me. Whoever said capitalism wasn’t effective? We provide tree removal, limbing, grinding, stump removal, pruning and danger tree services throughout the GHA. We are fully licensed chain saw operators, and fully insured for not only your safety but ours as well! Your Brockton Village, ON tree service professional or arborist might work in conjunction with another landscape professional to create a seamless landscape design. Here are some related professionals and vendors to complement the work of tree services: Landscape Contractors, Landscape Architects & Landscape Designers, Garden & Landscape Supplies. Find tree service professionals on Houzz. Look in the Professionals section under Brockton Village, ON tree services. 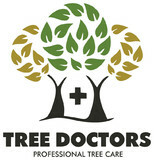 You can look through portfolios and read reviews to see what past tree care clients have to say.